Williamsport accepting applications for head Varsity swimming coach. The Williamsport Area School District is currently accepting applications for the position of Head Varsity Swimming Coach. 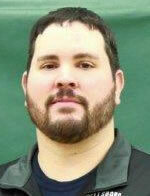 The head varsity swimming/diving coach is responsible for the entire interscholastic (9-12) program. The successful candidate will be asked to assume the duties as soon as possible. The successful candidate will provide discipline, commitment and organization for the swimming/diving program. The candidate will also have the ability to handle a diverse group of student-athletes, promoting academic standards, leadership and citizenship. Previous head coaching experience preferred. Teaching positions may be available for consideration.